This past weekend was the first time that I skipped more than one day of exercise since I began my training. Boy, did I regret it. A long weekend off may not sound too terrible to some, but for me it was awful. I felt disgusting and miserable by day 2, let alone day 3! My body has become so used to getting it’s fix of endorphins that having such a long “break” made me feel all sorts of wrong. I was finally able to workout on Tuesday and let me tell you, it was MUCH needed. I probably skipped my way into the gym, knocking people out of my way as I headed toward the locker room. However, my workout was BEYOND tiring and I think that it can be attributed to my inconsistency over the weekend. I did increase my weight on some of my lifts, but I do that often enough that I did not recognize this tired feeling as a result of that. My workout consisted of front raises, the shoulder burner machine (I don’t know if that’s actually the name), side lateral raises, military presses, some ab workouts and a tough bike ride to cool down. The only change I had made was increasing my weight for the front raises. I had been doing them with 15lb dumbbells but decided to up it to a 25lb plate – a) more of a challenge, b) plates are more comfortable to hold for that lift. Was it hard? Yes. Did I complete my sets? Yes. Did I want to quit? Absolutely. Overall, I felt weak and exhausted. Part of me did not want to even finish when I was halfway through my routine because I had this yucky, “you’re a bad girl for not working out all weekend” feeling. Regardless, I pushed through until my whole workout was complete, rather than quitting when I initially wanted to. Skipping a workout really is not worth it! 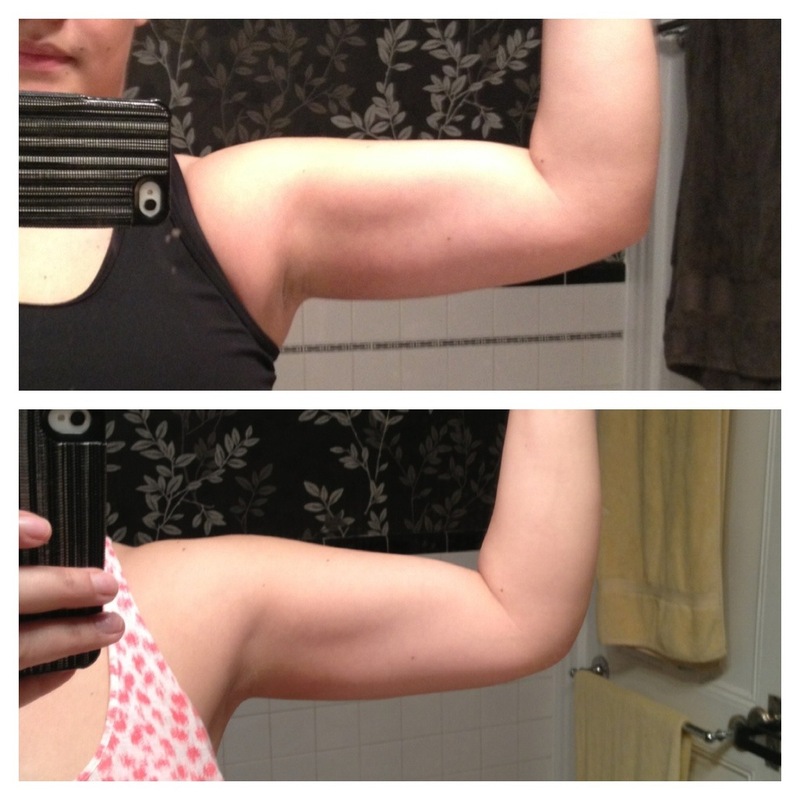 I have not skipped a single workout since I made the change. That is 5 days of exercise every week for the past (almost) 11 weeks! I will admit that there were a small handful of days where I didn’t feel like going to the gym. But once I got there I was happy I didn’t skip. Overall, to my surprise, making the commitment to fitness has not been all that hard. I daydream about it. I wake up and immediately look forward to my fix of endorphins after work. I feel like crap when it’s a “break” day. The days that I have to work late and make up for it on another day are miserable, but I always arrange my schedule so that I am still getting my 5-days in. Today I almost had to not go to the gym. My (not-so) little brothers are going to the prom tonight (eeeek! ), and I was worried that if I went to the gym I wouldn’t make it home in time to see them off! They couldn’t care less, but I’m the big sis! I have to take photos and embarrass them a little, obviously! SO, a quick gym trip it shall be, but at least it’s something! If I skipped today I wouldn’t be able to say that I have completed 11 weeks of my 5-day gym streak. A little is better than nothing! 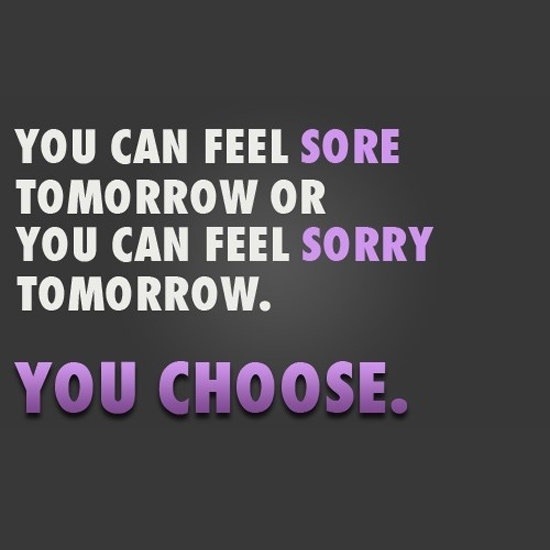 I would rather feel sore tomorrow, than sorry. You’ve just got to make the time for it!